Former Olympic gold medalist and world boxing champion Oscar De lay Hoya now fights addiction in an undisclosed California drug rehab. 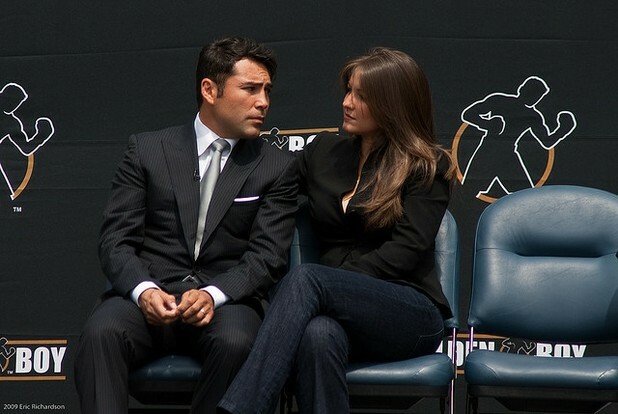 Oscar De La Hoya is reportedly battling an addiction to cocaine. In a statement given to the website TMZ, the retired boxer turned promoter wrote, “After doing an honest evaluation of myself, I recognize that there are certain issues that I need to work on. Like everyone, I have my flaws, and I do not want to be one of those people that is afraid to admit and address those flaws. Throughout my career and my life, I have always met all challenges head-on, and this is no different. I am confident that with the support of my family and friends, I will become a stronger, healthier person. I ask for respect and privacy as my family and I go through this process." The 38 year old ex-boxer retired in 2008 after a loss to Filipino Manny Pacquiao, but only after racking up 39 professional victories to only 6 losses and a startling 6 weight division world championships.